How Much to Rent a Dumpster for My Summer Cleanup? 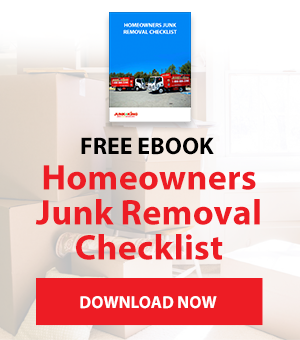 Providing you with great articles on Junk Removal! Summertime is the perfect time to declutter your home and cut ties with any old junk you don’t need anymore. Though springtime is the customary cleanout time—hence the phrase “spring cleaning”—summer is often the ideal time to get inspired. Perhaps you’re having guests over for a family party or a summer barbeque and want to put your best foot forward with a home that is truly spick and span. 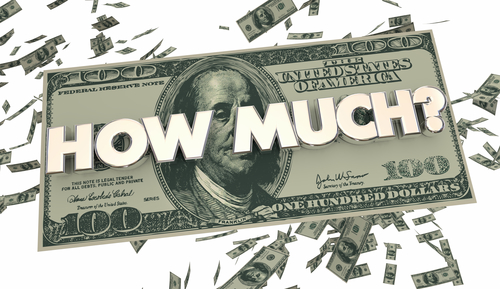 How much you pay for a dumpster is going to vary depending on a few different factors. There’s no “one size fits all” pricing model here. However, by asking yourself the questions listed out below, you should be able to get a better idea of the dumpster you need—in turn making it easier to get an accurate pricing estimate. Geography impacts a lot when it comes to dumpster rental services. In urban areas, junk removal companies are more common and don’t have to travel as far to drop off dumpsters for customers. As a result, rates in those areas tend to be cheaper than in rural areas where dumpster rental businesses are fewer and further between. Since dumpster rentals involve both drop off and pickup steps, driving distance absolutely plays a role in pricing. For this reason, it’s always in your best interest to look for dumpster rental companies close to where you live. Dumpster rental companies handle rental periods differently, depending on their policies. Some will offer you a few options to choose from—like three days, five days, or seven days. Others will let you choose how long you want the dumpster and charge accordingly. In certain cases, you might be able to rent a dumpster for a few weeks. Just remember: you’re going to pay extra for the additional time. If you’re asking the “How much to rent a dumpster?” question, then you probably have at least some sort of budget you are trying to keep. Doing some planning and organization before your dumpster arrives—and asking friends or family to help you with your summer cleanout—will help speed up the process and will save you from paying for extra days of a dumpster rental. When planned properly, you can accomplish an even a bigger cleanout in the space of a weekend. Are you concerned about sustainability? If you’re trying to keep your cleanout as green-conscious as possible, that factor is going to limit the number of dumpster rental companies from which you can choose. It’s a worthwhile choice to make: some dumpster rental companies just haul all their junk to the nearest landfill, which can have big consequences for the environment. Also, certain items are banned outright from most landfills—including tires, mattresses, and certain electronics. If you need to dispose of these “restricted” items, then your list of potential dumpster rental companies is going to be limited anyway. Finding a green dumpster rental company can solve both these problems. A dumpster company that promises sustainable policies will normally haul your junk to a warehouse and sort it into different categories. Some items might be sorted for recycling—especially those items that can’t go to landfills. Other items might go for donation or reuse, such as still-functioning TVs. This type of environmentally-conscious sorting minimizes the trash going to landfills and gives you the freedom to throw away items that you might not otherwise be able to put in a dumpster. You might pay a little extra for the service, but it’s worth it. How much junk do you have? This one is the million-dollar question: how much junk do you expect to be putting in the dumpster? Dumpsters are typically measured in cubic yards. Some companies let you choose from half a dozen different sizes for your rental, from 10 cubic yards on the low end to 30 or 40 on the high end. This choice also tends to be the toughest call for customers to make, simply because not many people are experienced with estimating things in term of cubic yards. For reference, a cubic yard is about the size of many standard appliances—including ovens, dishwashers, or washing machines. So, a 10-cubic yard dumpster can hold about ten ovens, while a 30-cubic yard dumpster can hold about thirty. As a rule of thumb, most residential cleanout projects do not demand the higher end of dumpster sizes. Even if you think your garage or basement is crammed with junk, you probably aren’t dealing with 30 or 40 ovens’ worth of trash. Still, it’s extremely difficult to estimate junk by value when you’re looking at things stacked in piles, stored in boxes, or tucked away on shelves. Bigger and bulkier items—such as mattresses or couches—complicate matters, too, because they are both huge and cumbersome. You can’t have anything sticking out over the edge of your dumpster at pickup time, so you need to be strategic about how you fill it. Most people rent a dumpster bigger than what they need, “just to be safe.” The problem with this approach is that these people often end up paying for 5-10 cubic yards of space that they don’t use. You can allocate your funds more efficiently by looking for a dumpster company that bills based on how much space you use. These companies don’t bill a flat rate for your dumpster as most businesses do. Instead, they bill you at the end of the cycle, once they’ve seen how much of the bin you filled. In other words, you pay a lower rate for filling half the dumpster than you do for packing the container to the brim. Answering the above questions—and strategizing accordingly—will help you minimize the cost of your dumpster. To get an actual estimate of how much you will pay for your rental dumpster, though, you will have to ask directly. 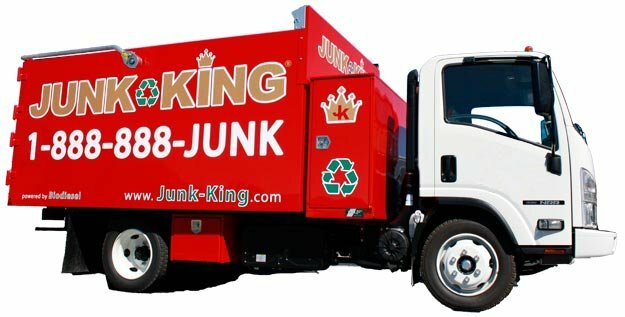 Any reputable dumpster rental company should be willing to get you a no-obligation price quote, based on the dumpster you want, your location, the length of your rental, and other factors. Even if you’re going with a company that bills on a sliding scale based on how much dumpster space you use, you should still be able to get a pricing range based on the other information you provide. Armed with pricing information, you can compare multiple dumpster rental options and choose the one that makes sense or judge the price quotes against your budgetary goals. In most cases, dumpster rentals are a very affordable way to execute a summer cleanup. While you’re renting the container, most of your cleanout project will still be DIY. As such, pricing stays low. Still, asking the “How much to rent a dumpster?” question—and shopping around to various dumpster rental businesses in your area—is a smart strategy that will help you get the best deal possible for your project. In any case, good luck and happy cleaning!